Think the “Rolls-Royce” of the Covered California Metal Plan Portfolio. The Platinum plan offers a much smaller out of pocket expense when it comes time for doctor’s visits, labs, prescriptions, etc. in exchange for a higher premium per month. This plan features an attractive $0 deductible with minimal copays of $15-$40 for common services. And to top it off, if the worst should happen, the most you would have to pay in a year for covered services would be $4,000 for an individual or $8,000 for a family. This is the best of any plan offered on the Covered California Exchange. The only exception to this would be if you qualify for the Silver 87 or Silver 94 plans. 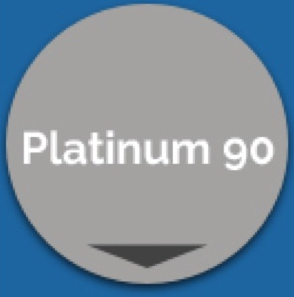 Is the Platinum Plan Right for Me? If you want benefits similar to what you had through an employer. Oftentimes, the Platinum is the closest. To compare your previous plan to this one, feel free to contact our agency so we can compare apples to apples for you. You don’t want a deductible, and you want the lowest out-of-pocket maximum in the event of a worst case scenario. You have health needs that require a lot of services. This plan may also be a good fit if you have a planned event, such as having a baby or if you know you will need a particular surgery or procedure that will be expensive. Once you utilize the plan for your coverage needs, you can always switch to another level of coverage if desired, during the next year’s open enrollment. The open enrollment typically takes place at the end of the calendar year and lasts 1-2 months. So keep this in mind as you plan. For other people it is enough that the Platinum level of coverage offers peace of mind that you just can’t put a price tag on. In comparing other metal plans ask yourself, “Does the premium justify the amount of times I would use the coverage?” If not, it may be to your interest to take a little more risk, pay less for either a Silver or Gold plan, and put the premium savings to use by saving it for unexpected events that may require a little extra money up front. We have quite a few people that are concerned with good emergency room coverage that doesn’t break the bank.For many people this is what they are looking for. If you are considering a PPO Platinum plan, be aware that if you receive care “Out of Network” you may have a deductible (some carriers) to reach along with higher out of pocket costs than what you see on the standard benefits. For example on the standard benefits you would pay $ 40 to see a specialist. If you were to see a specialist “Out of Network” you may pay a deductible (some carriers) and then 50% of the cost. Check your plan benefit details for more information so you aren’t caught by surprise. For additional information, contact the carrier or Health For California Insurance Center.